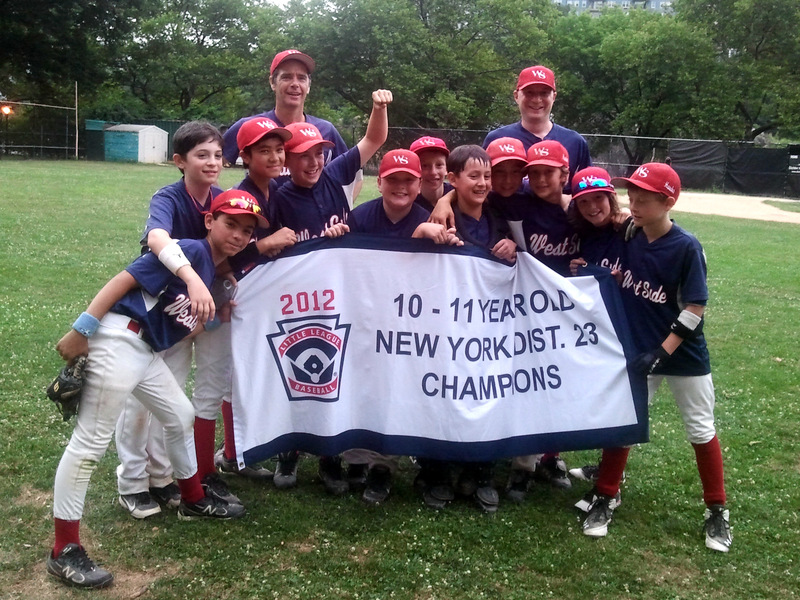 West Side Little League (WSLL) is a non profit all-volunteer youth organization chartered by Little League Baseball. We run: Co-ed Baseball & Girls' Softball in the Spring and Fall, and a Co-ed Challengers Division (special needs) in the Spring only. 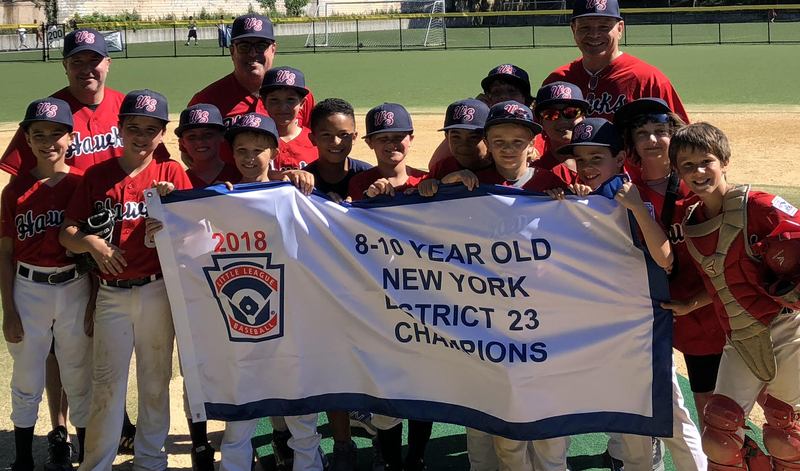 West Side Little League spring 2019 registration for baseball, softball and challengers is now closed. 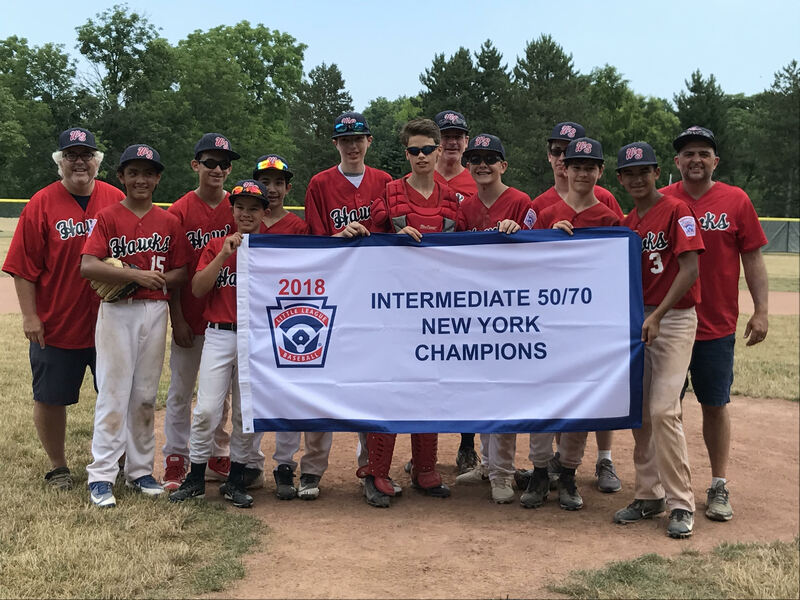 Please check back in July for registration information for our Fall Ball 2019 program. WSLL Registration Fees, Scholarship, Wait-list & Refunds. WSLL FEES. Divisions are grouped by age. WSLL DIVISION PLACEMENT. Information on WSLL tentative WSLL Calendar. tentative WSLL Schedule and WSLL Field Assignments. 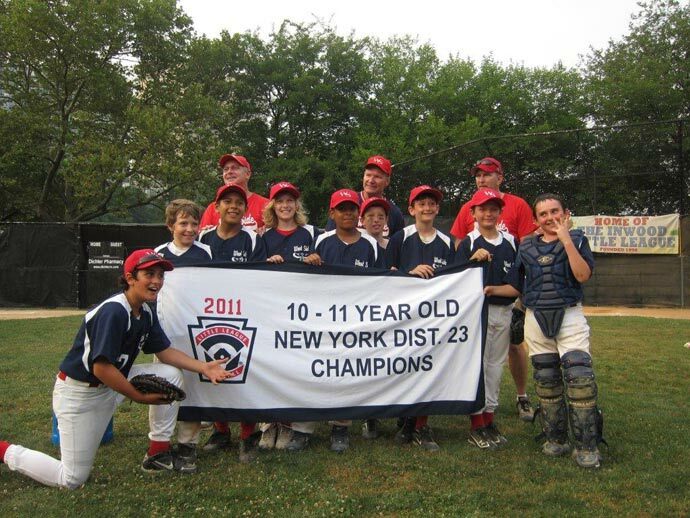 Information on WSLL Eligibility, Player Assignment and WSLL Player Participation. 15% OFF your Total Purchase of Regular & Sale Priced Merchandise. 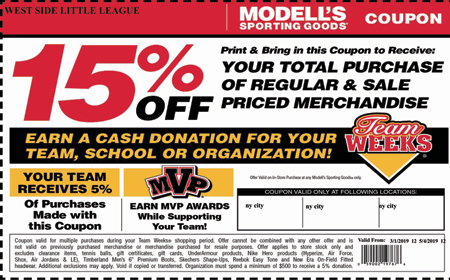 Your Team Receives 5% of Purchases made with this Coupon. 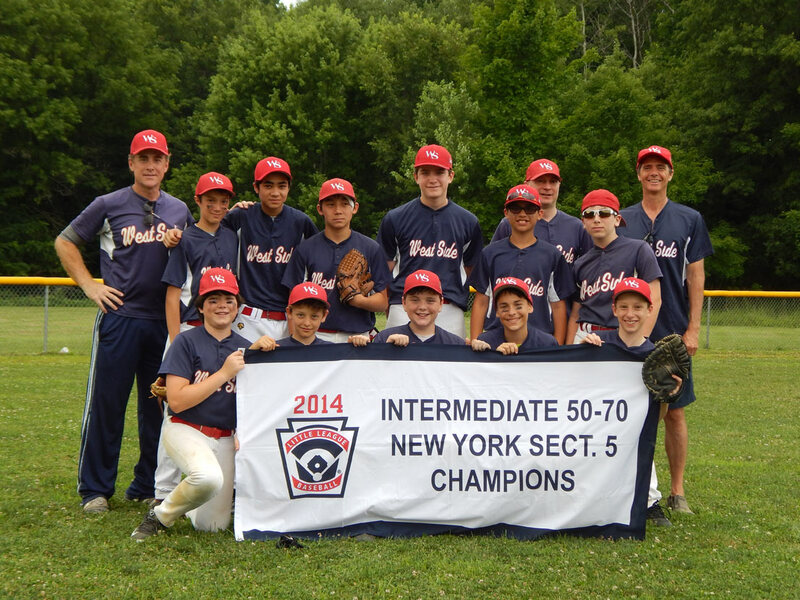 West Side Little League's 13u Hawks Tournament team WON the INTERMEDIATE 50/70 NEW YORK STATE CHAMPIONSHIP! 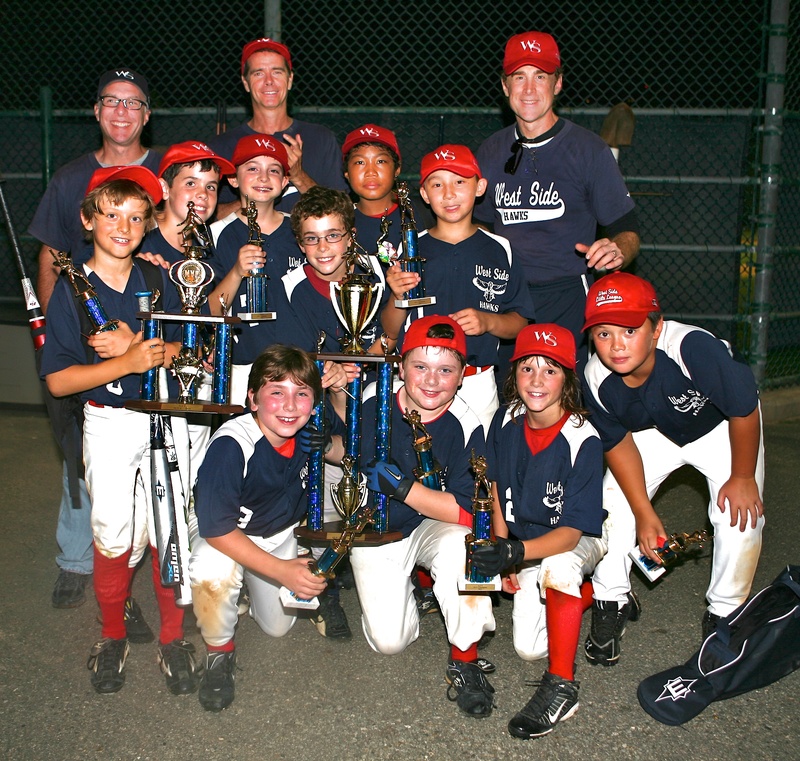 CONGRATULATIONS WSLL 10u Tournament Team! 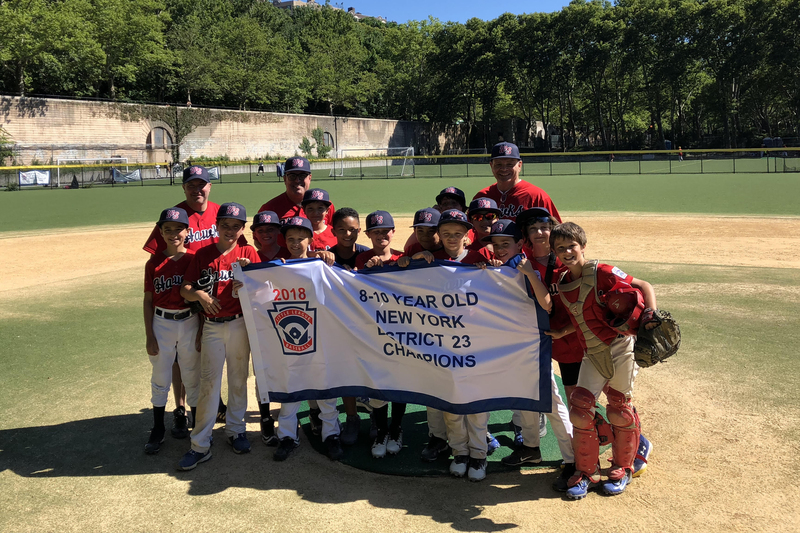 West Side Little League's 10u Tournament Team, The Hawks, WON the 8-10 YEAR OLD NEW YORK 2018 District 23 CHAMPIONSHIP! CONGRATULATIONS WSLL Juniors Girls team! 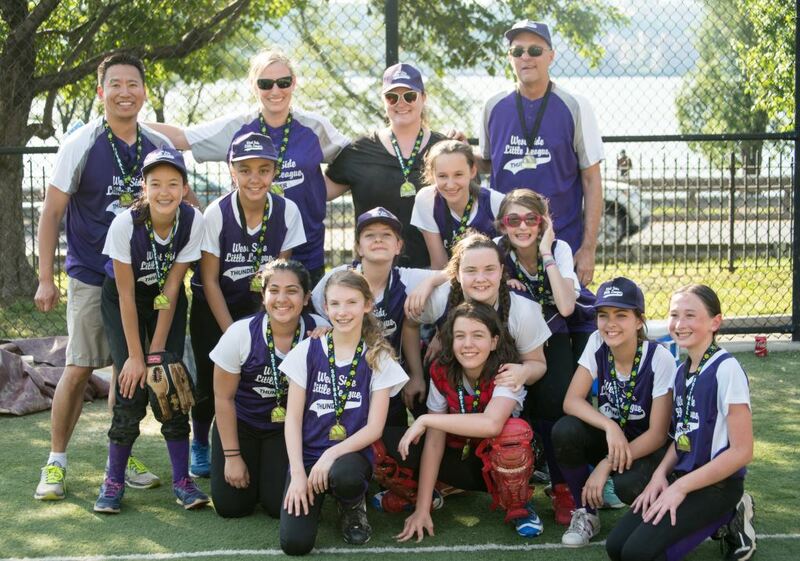 West Side Little League's Juniors Girls team, The Storm, won the Spring 2018 Manhattan Junior Girls Softball Championship! 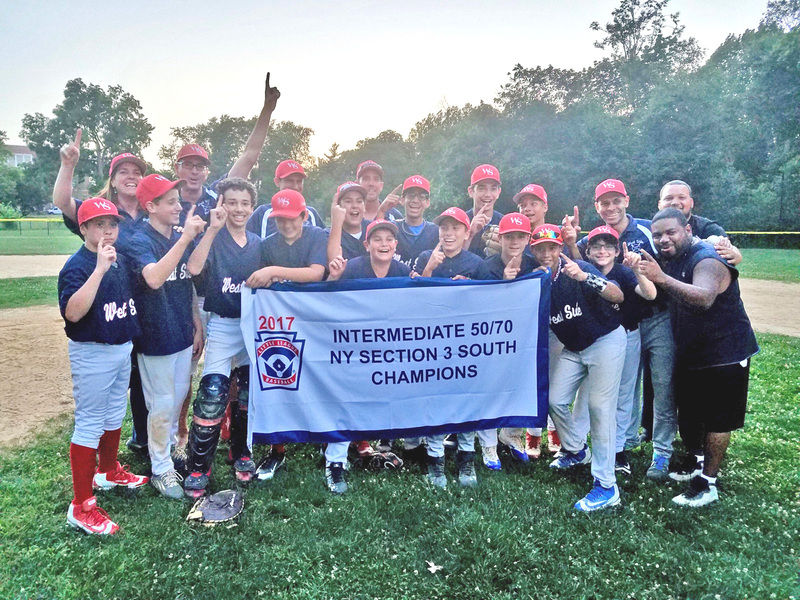 West Side Little League's 13u, The Hawks, WON the NYC 2017 50/70 Sectional Champions! 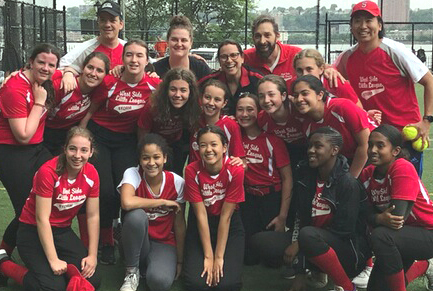 CONGRATULATIONS WSLL Girls Softball Team! The THUNDER - NYC 2017 Majors Girls Champions! 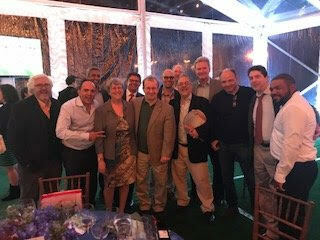 League VP Jose' Aguilera's Retirement at the Riverside Park Gala. Jose' served as League VP from 2007-2017. Thank you Jose' for all your tireless work and devotion to the League! 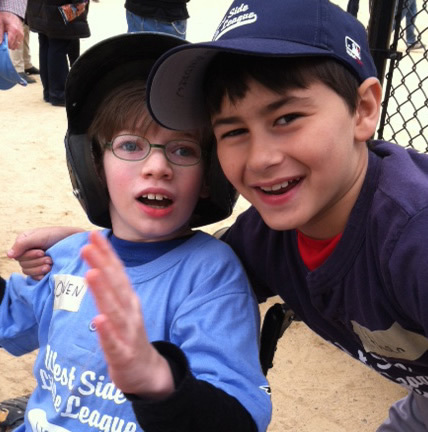 WSLL Salutes its Challenger & Buddy Program! WSLL has developed the following WSLL Code of Conduct that applies to all participants and spectators, in all divisions. Every player MUST give a completed WSLL Medical Release Form to their Coach at the first game or practice of the season. This form must be filled out and signed by a parent or guardian. Coaches should bring these forms to every game and team practice. Please read the following West Side Little League Safety Code. It outlines what the League does to promote safety on the field, and what you must do to make this the safest possible experience for your child.